With a stay at Palace Resort in Myrtle Beach (South Myrtle Beach), you'll be convenient to Midway Park and Family Kingdom Amusement Park. 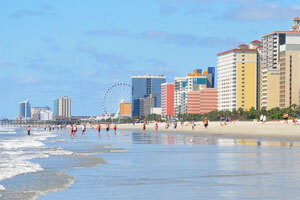 This beach hotel is close to SkyWheel Myrtle Beach and The Market Common. The pool is covered November through May.